The Florida Scrub-Jay is a charismatic songbird found only in the Florida scrub. The bird is known for its curious nature, impressive memory, and cooperative family life. Unfortunately, due to habitat loss, researchers estimate that less than 5% of the birds remain. The most reliable way to track the number of birds in a population is to put bands on their legs. Adding plastic color coded bands, in addition to the metal federal ID bands, also makes it possible to better understand their behaviors and life stories. 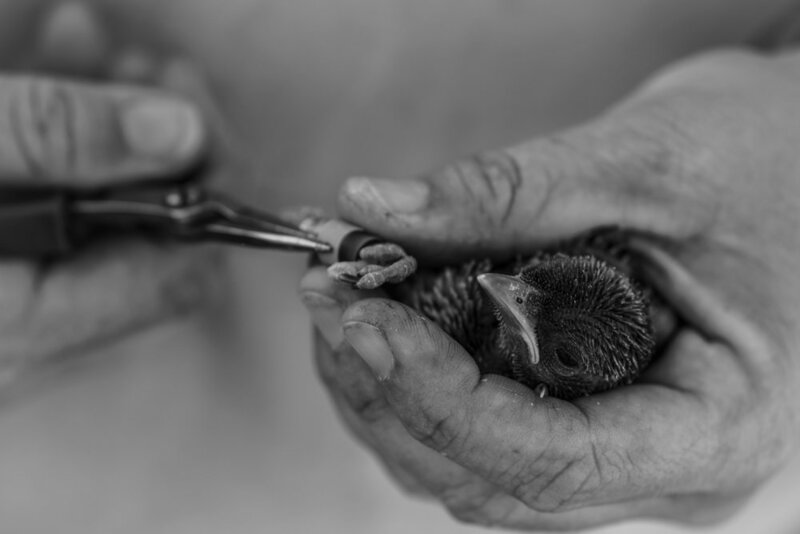 Florida Scrub-Jays are banded while still nestlings. Biologists find all the nests within a monitored area and know exactly when the chicks are ready for banding. The birds are also weighed and have their blood taken. The blood tests can reveal paternity, disease, and even chemical clues to the future personalities of the birds. Biologist Michelle Dent visits a jay family territory and watches the nesting area before approaching and collecting the nestlings. The nestlings are brought back to Michelle's truck where her banding equipment is. 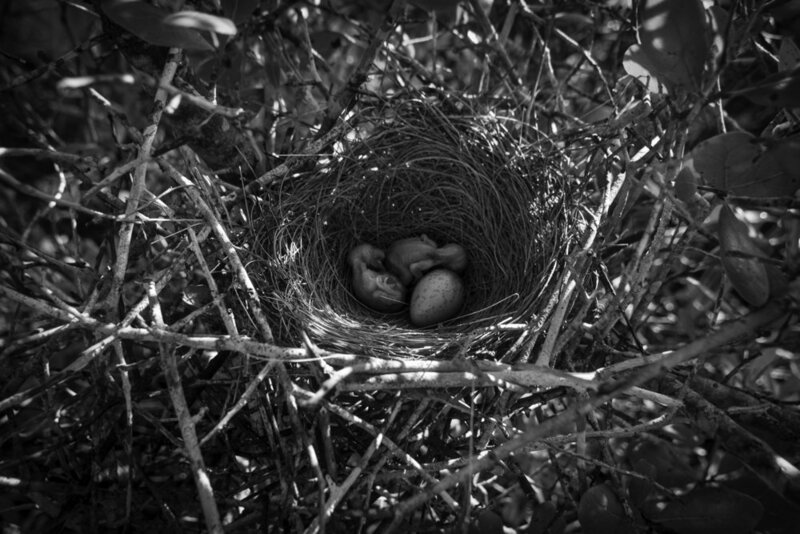 Unhatched eggs are also collected and will be examined later. Michelle and her assistant Mikayla Thistle put bands on the birds, draw blood, and take other measurements. After banding, the birds will be immediatley returned to their nests. Much of the early scientific interest in Florida Scrub-Jays came from the species' rare family life. Cooperative breeding, in which a mated pair and their offspring live together and share in the care for the young, is only found in approximately 3% of bird species. The Florida Scrub-Jay often pair for life and remain monogamous, take turns on predator lookout duty, and have even been seen cooperatively hunting snakes. Each family has its own territory of around 20 acres, which they defend from other scrub-jays. This is important for the birds, because their territory, among other things, allows them to cache acorns. Each bird stores thousands of acorns in the sand in the fall, each acorn in a different spot, and relies on them for food in the winter. 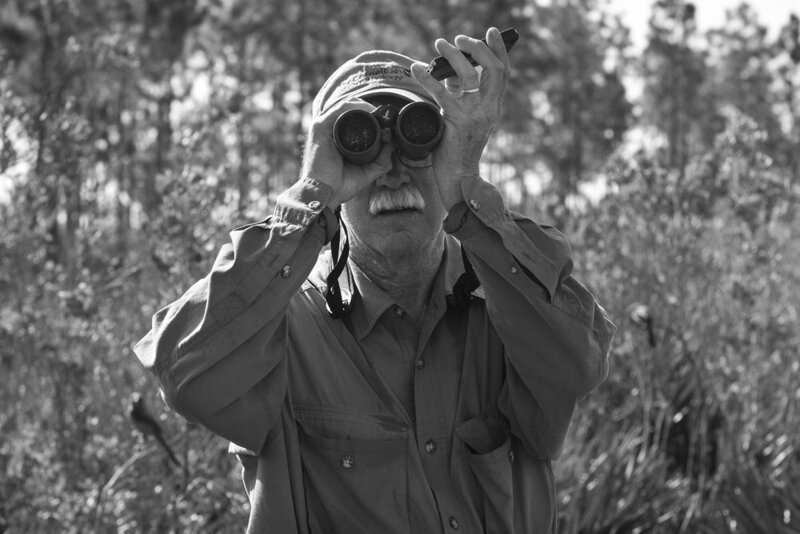 At Archbold Biological Station, they have been mapping these family territories for decades. 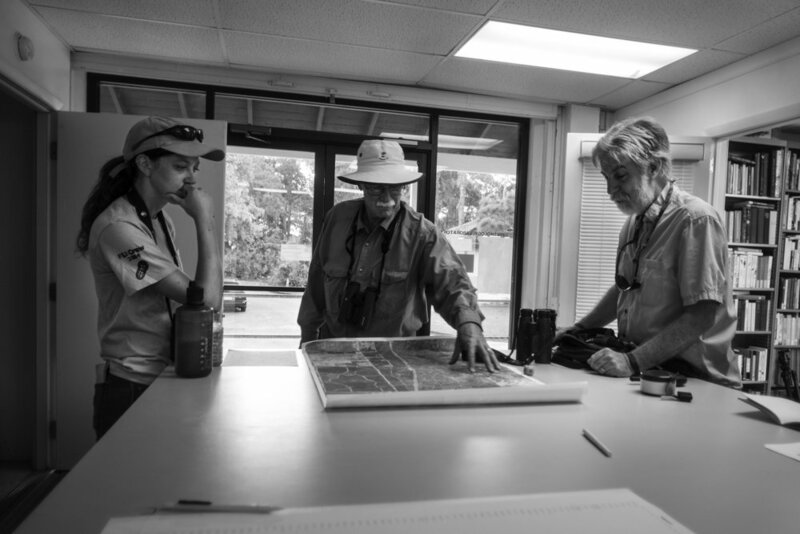 The biologists coordinate their field work before splitting into teams or working individualy. 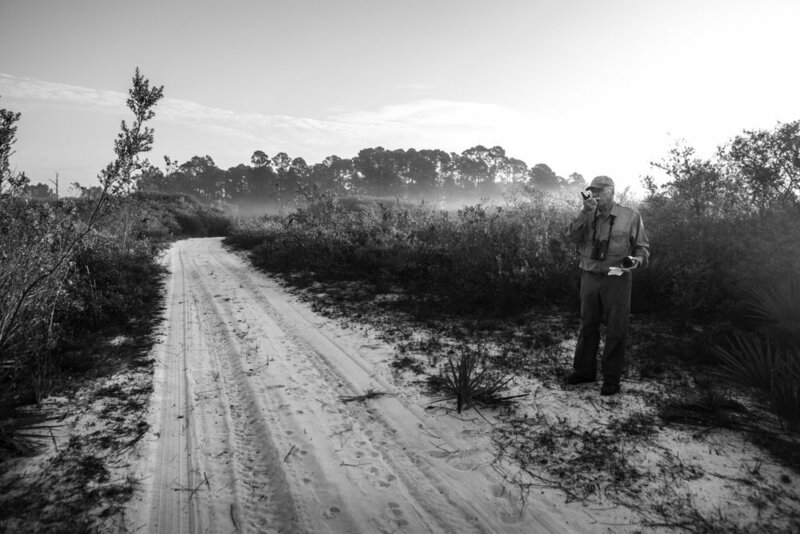 Check out Archbold Biological Station's Florida Scrub-Jay film, hosted by Dustin Angell and featuring Reed Bowman.